All mapped out in one big book! 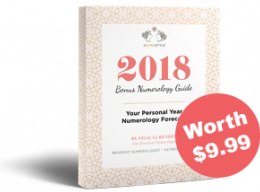 Wondering what 2018 has in store for love, money & relationships? 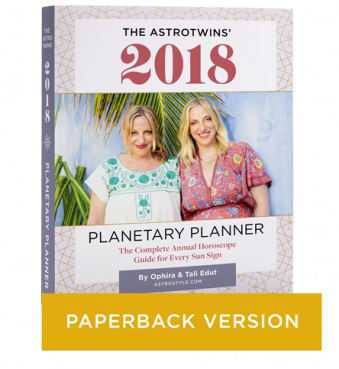 The AstroTwins have all your forecasts ready! In 2018 there's a planetary move that only happens once every 84 years. Find out what the stars have in store for your sign—in love, career, health, family and more. Over 500 pages of cosmic forecasts to guide you through the year! 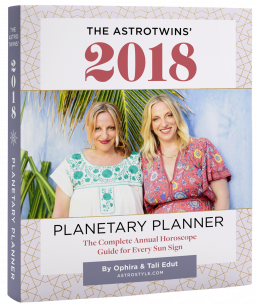 The AstroTwins, Ophira and Tali Edut—astrologers for ELLE and Refinery29— help you plan it by the planets! Buy now & enjoy 3 bonus gifts! 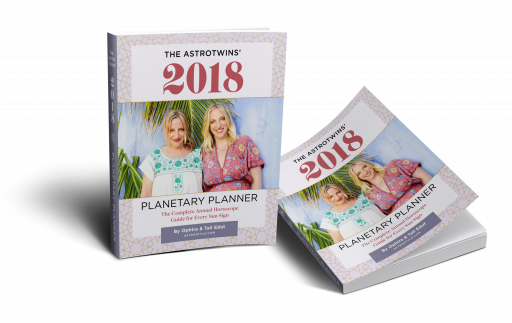 A replay of our 2018 webinar "Capture Your Cosmic Power in 2018"
Order your Planner + bonus gifts! All 12 signs in one big paperback you can bookmark and highlight. Keep up on all the people in your life with this 552-page printed and bound edition. 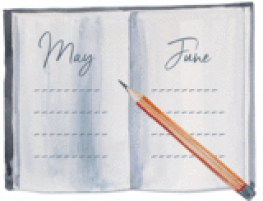 Take your 2018 Planner to go with our full-color PDF version. A printable PDF that fits on your mobile devices and comes with you everywhere—so you're always prepared. 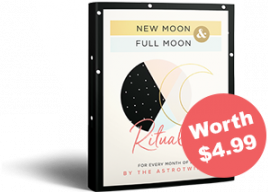 Want the book for just your sign? Single-sign paperbacks also on sale. 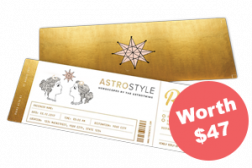 cosmically curated by The AstroTwins—just for you! the divine guidance you need. Should you start or end a relationship? Take yours to the next level? Enjoy the single life? We'll tell you! Is this the right year to launch a business, change jobs, invest? Or should you relax and enjoy your hard-earned money? We'll help you plot your savviest moves. 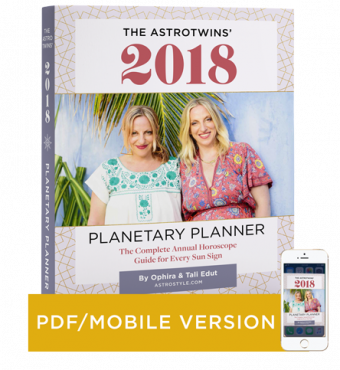 * How the dramatic eclipses of 2018 will give your life an extreme makeover! 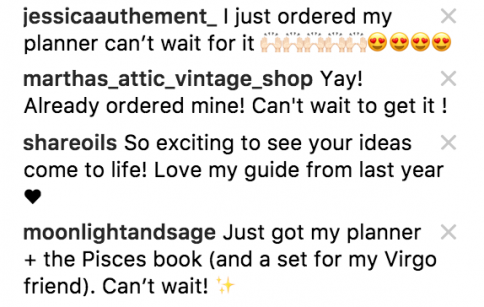 * How to avoid a retrograde meltdown during all of 2018's cosmic "blackout dates"
* Which dates are favorable for big, bold moves...and which ones will only spell trouble! "The AstroTwins are my honorary oracles and spirit sisters. Their advice is always the right blend of compassionate and truthful, intuitive and real." "I share my secrets, musings, and questions with The AstroTwins. And just like a gifted Sorceress (in heels) they blow my mind with spot-on guidance and vision." “I’ve found Ophira’s readings especially uplifting. She’s been there with inspirational advice through all of my ups and downs. I rely on her guidance to help me get through some of my hardest times, and The AstroTwins’ book (Love Zodiac) is among my favorites. " Buy Now & Claim Your Bonus Gifts!